Todd is a native of Linton, the son of Gary and Suette Walton, and the brother of Kerrie Stamm. He began working at Welch & Cornett Funeral Home at age sixteen, soon realizing his desire to be a part of the funeral profession. After graduating from Linton-Stockton High School in 1992, he enrolled in the Vincennes University Mortuary Science Program, graduating in 1995. He began working as an intern in May 1995, and a year later, became a licensed funeral director. Todd managed the Linton funeral home for several years. In January 2004, he and his wife, Cindy, along with Vern and Gia Spoor, purchased Welch & Cornett Funeral Homes in Linton and Worthington. Todd and Cindy then purchased Vern and Gia's part of the business on April 1, 2014. On December 3, 2014, Todd and Cindy expanded their family business and purchased West & Parrish & Pedigo Funeral Home in Spencer. 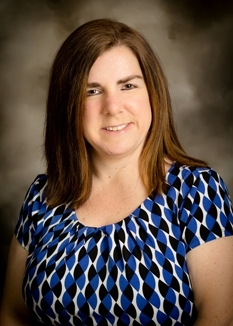 Cindy was a 1994 graduate of Linton-Stockton High School and a 1997 graduate of Vincennes University. She is a registered nurse and worked from 1998 at Greene County General Hospital Infusion Center until joining the funeral home staff full-time in 2014. She now works daily at the funeral homes. Todd married Cindy Firkins, June 29, 1996, and they have three daughters, Allie, Aubrey, and Adalyn. Todd is a member of the First United Methodist Church, F.& A.M. Lodge #560, B.P.O. Elks #866, Rotary (Past President), Civitan (Past President), and the Sons of the American Legion, all of Linton, and serves as a trustee of Greene County Hospital Board of Directors. Cindy is also a member of the Linton First United Methodist Church, the Linton Ladies American Legion & VFW Auxiliaries, and has been active many years in the Linton-Stockton Band Boosters. Darin is a native of Owen County, having been raised just outside of Patricksburg. Darin graduated Owen Valley High School in 1993. He began working at Deusterburg-Fredrick Funeral Home in Vincennes while attending mortuary school there. (Where he met and became good friends with Todd Walton). 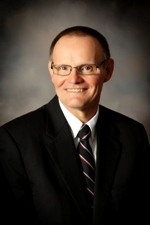 Darin soon returned to Spencer and West & Parrish & Pedigo Funeral Home in 1998, as a licensed Funeral Director. He was elected Owen County Coroner twice and served in that capacity from 2003-2010. Darin left the funeral home to pursue a career in Law Enforcement and did so as a Deputy Sheriff at the Owen County Sheriff’s Department. Soon after Todd and Cindy Walton purchased the West & Parrish & Pedigo Funeral Home, Darin returned to the career, and the purpose for which he was born. He and his family reside in Worthington and he manages the Welch & Cornett Funeral Home and Walton Crematory in Worthington, works at the Linton location , and works at West & Parrish & Pedigo Funeral Home in Spencer. Darin is married to Tiffany Lee (Naanes) and has three children, Matthew, Alyssa, and Jesslyn. They reside in downtown Worthington and attend the Faithway Bible Church in Worthington. He belongs to the F.& A.M. # 95 (Spencer), and the B.P.O. Elks # 866 (Linton). Darin has worked in public relations for his entire professional career and hopes that he can do so for many years to come. Susan is a native to Fountaintown, Indiana. She graduated from Triton Central High School in Fairland, Indiana in 2008 and went to Ivy Tech Community College and received her Associates Degree in Mortuary Science in 2012. She did her internship on the Southside of Indianapolis and worked there for 4 1/2 years until she came to work for Walton Funeral Service, Inc., Welch & Cornett Funeral Homes and West & Parrish & Pedigo Funeral Home in 2017. Susan loves spending time with her parents, Jeff and Karen Gill as well as two sisters, Emily and Allison Gill. She enjoys reading in her free time, has a dog named Hank and a cat named Roscoe. She attends St. Peter Catholic Church in Linton. Susan enjoys helping funeral service by helping families in their time of need. Debbie is a lifelong resident of Monroe County, Indiana. She graduated from Bloomington High School South in 2000 and went on to attend Mid-America College of Funeral Service, where she received an Associate Degree in 2002. Debbie is married to Russ Evans and they have one daughter, Mallori. They reside in Ellettsville. Debbie loves spending time with her family and in her free time, enjoyed being outdoors and watching her daughter play softball. Debbie has many years of serving families at their time of need, and looks forward to helping families in Owen, Greene, and Monroe counties. Nichole is native to a small town in Northern Indiana called Winamac. As long as she can remember, Interior Design has been her passion. After graduating high school in 2001, she went on to college and in 2006 she graduated from Indiana State University (ISU) with a Bachelors degree in Interior Design (Family & Consumer Sciences.) While attending ISU, she met her husband Noah Hawkins, who was a life long resident of Greene County. In 2007, the couple were married and in 2009 decided to relocate to Linton to be closer to family. They now have a daughter and a son; Cambry who is seven and Reece who is 4. Since graduating college, Nichole has always been known for her talent and love of Interior Design. However, during the summer of 2016, she felt a strong sense that it was time to make a change. She made the decision to return back to ISU and pursue a Masters Degree in Counseling. Ironically, Nichole had just recently completed some design work for the funeral home. She asked Todd if he would write a recommendation letter for her graduate application. Call it luck, coincidence, or divine intervention, but Todd and Cindy were looking for the perfect fit to take on their aftercare/grief-counseling program that they had always longed to provide for the families served by the funeral homes. They have always been there to help families following a service, but wanted to do more. Nichole will complete grief-counseling training in April 2017 and August 2017, and is currently assisting families with the aftercare support that we feel is so vital for our families and community. Garrett was born in Linton, Indiana to Bob and Stacey Mason. He also has a sister, Savannah Mason. 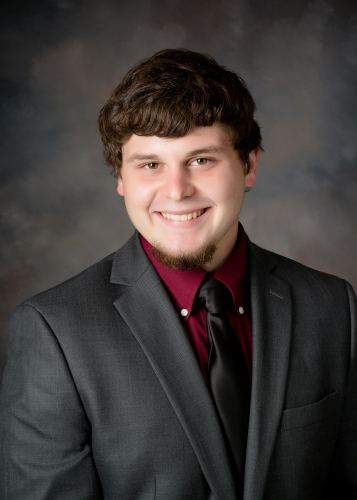 After winning the Class A State Championship in football in the fall of 2016, Garrett began working at for Walton Funeral Service, Inc. Garrett is a 2017 graduate of Linton-Stockton High School. In his free time, he enjoys kickboxing, spending time with friends and family, fishing and riding dirt bikes. Garrett is certified as a cremator operator and is in charge of the cremation process at our funeral homes. He also works many visitations and services where he enjoys visiting with the public. Betty is the daughter of Neal and Dorothy (Cole) Hobson. She graduated from Carlisle-Haddon High School in 1963 and attended Ozark Bible College in Joplin, Missouri for two years. She married Larry Corbin, the son of Paul and Edna (Roush) Corbin, on November 23, 1968, in Bicknell, Indiana. They have two sons, Jon Christopher Corbin, married to Julie, and Aaron Michael Corbin, two step-grandchildren, Stevie and Jerika Ellis, and three great-grandchildren, Addy Stefancik, Izzy Robling, and Sophie Ellis. She and Larry are members of Lincoln Christian Church, and Betty is a member of the Willing Workers there, Betty is also a member of Friends of the Goose Pond. She worked at Peoples Trust Company in Linton for nine years before coming to Welch & Cornett on September 6, 1985, and considers it a privilege to serve the families who come to us. She enjoys her family, her church family, gardening, entertaining, and reading. Shelley grew up in the rural community of Solsberry, Indiana and has maintained her residence in Greene County. In 1988, Shelley graduated from Eastern Greene High School and started working ……..She is the mother of two children; Austin who is 19 years old and attends Vincennes University to study Law Enforcement and Mallorey who is 15 years old and a sophomore at Linton Stockton High School. She enjoys spending time with her children, watching her daughter excel in high school sports and listen to music. 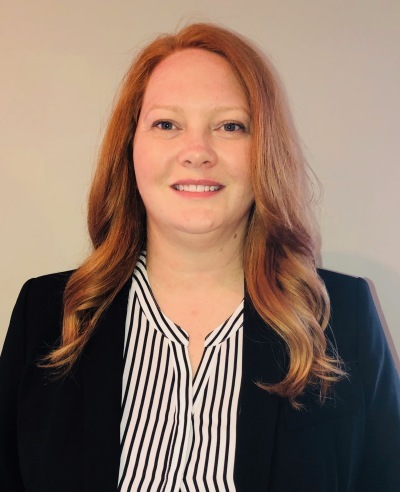 Along with accepting the new full-time secretary position with Welch & Cornett, she also works as a part time secretary at the Greene County General Hospital Emergency Department. 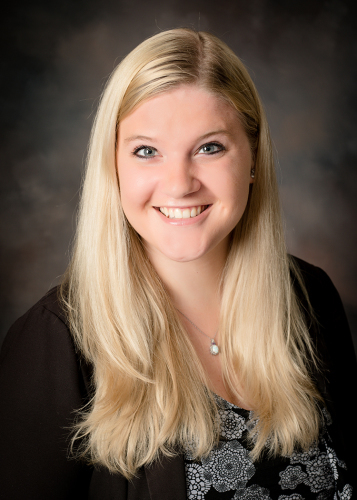 Prior to accepting her new position, Shelley worked at Welch & Cornett as the part-time Aftercare Representative. We are so glad to have Shelley on board full time and we are thankful she is a part of our team to help serve our community in the best way we can! Kenny is a lifelong resident of Linton. He is the son of Reba Gillan and the late Robert Gillan, and the twin brother of Kathy Howell. He graduated from Linton High School in 1969. He went on to Manchester College where he earned a Bachelor of Science Degree in 1973. Kenny began his teaching career at the Linton Elementary School in the fall of 1973. In 1976 he earned a Master of Arts Degree at DePauw University. He went on to Indiana University where he earned an Educational Specialist Degree which included School Counseling and School Administration. Kenny completed his teaching, counseling, and administration career at the Linton Elementary School in the Spring of 2005. He began working at Welch & Cornett Funeral Home the winter of 2005. Kenny is a member of the First United Methodist Church where he sings in the choir and in the men's quartet. Kenny Married Beth Strickler in 1974. They have 2 sons, Bryce and Blaine, and a granddaughter, Paisley Rae. Dave Brinson is a lifelong resident of Owen County. He is the son of the late James Leslie and Mary Jo Brinson. He is a graduate of Spencer High School class of 1962. Dave married Barbara Baumgarner in 1964 and they are the parents of Brad (Tara), Gayle Brinson- Wright (O T), and Paul (Crystal). They are grandparents of Lindsey Wright, Caleb (Stephanie) Brinson, and Cally Wardlaw. He attends Spencer United Methodist Church where he is active in the choir and food pantry. He retired in 2008 from Hulman & Company after managing Hulman Print Services. He is also president of the Gross Cemetery Association. He enjoys gardening, golfing, and travel. 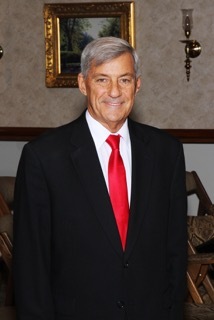 He began working with West & Parrish & Pedigo Funeral Home in 2011. Scott is a native of Linton, the son of Derral and Mary Jane (Thomas) Wellington. He graduated from Linton-Stockton High School with the class of 1965. He was drafted and served in the United States Army from 1966-1968 during the Vietnam War. Following the war, he married Brenda Gabbard, and they had a son, Scott II (Rachel) Wellington and a daughter, Stacey (Bob) Mason. Scott has three grandchildren, Thomas Wellington and Savannah and Garrett Mason, and a great-granddaughter, McKinnley. From 1969-1970, he went to mortuary school in Indianapolis. He worked in funeral service from 1969-1977 and at Duke Energy in Edwardsport from 1977, retiring in 2008. He has been employed at Welch & Cornett Funeral Home since November 2014. He likes to keep busy and enjoys participating with the American Legion Honor Guard. Scott is a member of the Linton First Baptist Church, American Legion Post #22, Elks Lodge #866, and the Switz City Masonic Lodge. 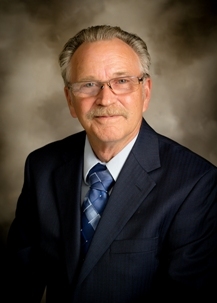 He enjoys working with the staff and helping the families we serve at Welch & Cornett. Bob is a lifelong resident of Spencer. He is the son of the late Harold and Pearl (Britton) Livingston, and the brother of Joyce Stevens, Janet Valadez, and Keith Livingston. He graduated from Spencer High School in 1966. 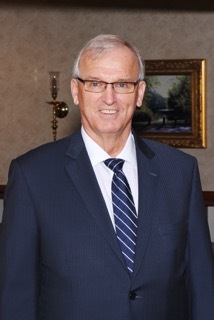 He attended and played basketball for Tri-State University (now Trine University), graduating in 1970 with a bachelor’s degree in business administration. He worked for Harry Miller Excavating for four years and then was an insurance agent with Duling Insurance Agency for 36 years. He also served 23 years in the Indiana National Guard. He began working at West & Parrish & Pedigo Funeral Home in the fall of 2012. 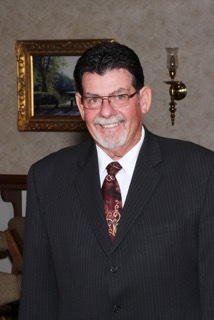 He serves on the boards of the Owen County Community Foundation and Our Community Bank. He and his wife Carolyn (Miller), who he married in 1968, attend Heritage Baptist Church. They have three children, Christa, Jared, and John, and eight grandchildren. Buck Johnson is from Cloverdale where he was a graduate of Cloverdale High School in 1958. He and his wife of 54 years, Nan, have been residents of Spencer for 42 years. He retired from National Automotive Parts Association (NAPA) after 46 years, but still helps our when needed. Buck is a member of Spencer Presbyterian Church and works with the food pantry. He and his wife have four children, Lisa, Jeff, Lynn and Marc, seven grandchildren, and two great grandchildren. Buck has been working with West & Parrish & Pedigo since 2013. Suette is a life-long resident of Linton. She is the daughter of the late Don & Kathleen (Johnson) Besheres. 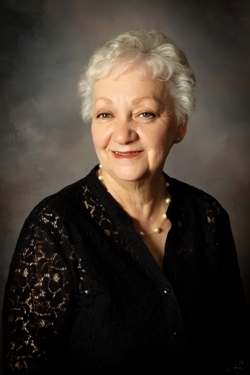 She is a 1965 graduate of Linton-Stockton High School and attended Indiana State University. She married Gary Walton in 1968, and they have two children, Kerrie (Mike) Stamm and Todd (Cindy) Walton. They also have seven grandchildren, Koye, Marissa, Abbey, Grant, Allie, Aubrey, and Adalyn. 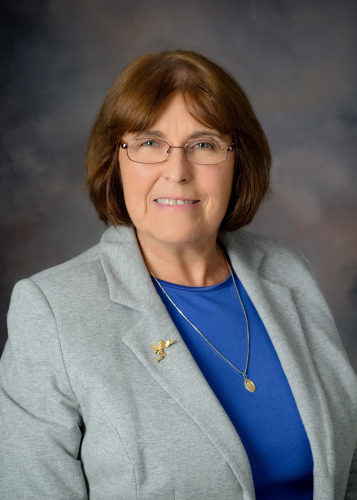 Suette is a member of the First United Methodist Church and American Legion Ladies Auxiliary, both in Linton. She enjoys spending time with her family, reading and attending all sports and activities that her grandchildren participate in. Suette retired from Boston Scientific Corporation in 2012. She enjoys working with all the funeral home staff and helping the families we serve.